I decided to share something different from what I've been writing for almost a week and it was really good and hope you enjoyed it. Sometimes, people miss on my recent posts which can happen from time to time. Please check it here in case you missed or you want to read what it is about if you haven't read it at all. I've been receiving views from my subscribers to this blog through email which will be rude of me if I don't take part of my post to say thank you. Thanks for supporting me through my social media and also, through email subscription as well. If you don't want to miss a post like this one, please subscribe to my blog which can be found on the top sidebar of this blog. Every support is much appreciated and will return it with good content for you. Also, I want to mention that I'm glad to see people enjoyed my recent content because I didn't have the confidence in myself and my content when I started things like this and you guys helped me to feel like I can do a lot better which I will be working on it so hard. As I said before, I will be back with blogging and so far I'm doing pretty well. This time I'm going to mention some of the things that happened to me particularly at certain times. I believe some of us has gone through it as well in general and I would love to know what you think of when you have done it? this is some things we can't predict what will happen after it occurs in real life. In our daily life, a lot of things occurs based on what we do and say. 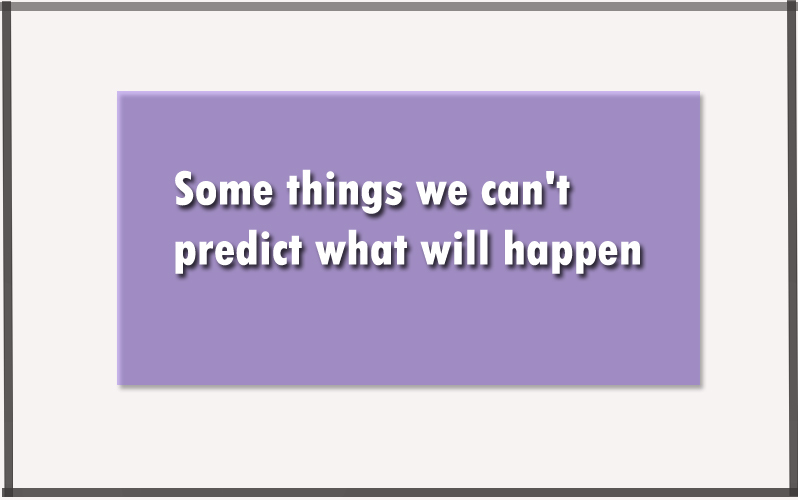 However, Sometimes, we can't predict the future of what will happen and we can't know if it will be good or harmful to us. I would like to share with you the funny side to charm your day and bring you a laughter and not painful and bad feeling. There is a lot of things, but I will mention some of the most popular stuff as usual haha. Every one of us loves to listen to music and it's something we all can't disagree with this fact no matter what kind of genre. I always use headphones when I'm listening to music or even watching any video on my phone or laptop and I'm sure most of us do the same as well. However, the next thing will decrease the number of people doing it because it is something silly haha. Sometimes I like to listen to music with max volume or at least loud using my headphone because I can't deal with other noise around and toxic that my family like to create among them and here, what happens after haha. Also, I like to go deep into my imagination with music which helps me to draw the picture right, if you know what I'm talking about. You can hear nothing when you listen to music with max volume or loud and I was really into the metal music once and I was going crazy dancing and singing along. However, there was zero expectation of anyone would come to my room at that moment, haha, but no that was wrong because my dad happens to get in and didn't hear that at all and after few minutes, once the song finished, I found him staring at me like I was crazy haha. The only time you should enjoy music with loud volume is when everyone is sleeping because once you do that, everyone just starts yelling your name because they need something and when you can't hear them, I'm not sure how can you respond to them and if you don't do it they will get mad be like 'I've been yelling your name for an hour' and it was only a few times haha. However, this is not what happened to me. I was on a bus ride with my friend which took us a few hours on the road than usual. I was really bored because there was nothing and started listening to music and turned the volume little up so that I can only hear the music, my friend wanted to talk with me when he was calling my name, I didn't respond and he got mad at me and slapped me on the head haha. I mean if you are one of the parts, it may not be funny, but the third part would totally be funny for them. Have you decided to go with friends to get a swimming pool session? I bet most of us did, but one thing I think no one should do is the chasing game because sometimes we can't know what will happen. You may slip on the floor while running, but what if you get too scared that you got only one thought to jump into the pool and escape and jump over someone enjoying the time of life haha. This happened to me when I went swimming with my cousins and brothers. Everyone was doing his own swimming style except for me and my cousin, he was chasing me and once he got close to me, I jumped on his brother because I was scared, haha but he was too smart to avoid me before I hit him and made it clear jump into the water instead, but that would be something else if he didn't haha. I can only imagine having nice things if you have a nice friend, but not when you play hide and seek and he gets your position while still think no one knows where you hide. I'm trying to peak to look if he around or not and he just staring at me and once I turned my head, boom there you have the moment haha. Sometimes when we have no clue what happens next definitely makes for the funniest stories. Sometimes not knowing what will happen next is what makes life exciting! It sounds like you have some fun adventures with unexpected outcomes at times. Oh my, I have definitely slipped and fallen at the pool. I try to avoid the chasing game now!! The unexpected keeps us on our toes. Life would be boring if everything went as planned. I have totally done the chasing game and landed on whoever was in the pool. Not something I'd recommend! The future is unpredictable and no matter what we are doing to avoid things, things might happen after all. But when funny things happen everything is easy to be accepted. Life is full of little surprises out there. You never really know what is going to happen around the corner.